Drivers in Hartford, Manchester, New Haven and the Waterbury-area need to ensure they do everything possible to ensure that they make safe choices behind the wheel. 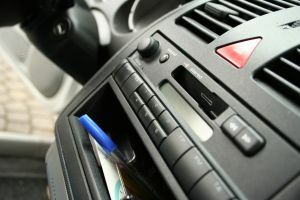 Many motorists today are purchasing vehicles that have add-on safety features or optional crash protection technologies. Motorists seek out these features because they believe that this can help them to avoid becoming involved in an accident. Technologies can make a difference in helping to prevent car accidents. However, a personal injury lawyer knows that most tech devices in vehicles are not perfect and are prone to malfunctioning or failure. While technology is a good add-on that drivers can use as one tool to help prevent accidents, a reliance on technology can be dangerous. Motorists should never assume they can substitute automated features for their own common sense or their own extra care behind the wheel. Some of the most common add-ons that drivers believe will help them to stop crashes include blind spot detection systems and lane-keep or lane departure warning systems. The purpose of blind spot detections systems is to help drivers become aware when something is in the area to the side of their vehicle that they cannot see. The purpose of lane departure warning systems is to prevent motorists from straying outside of the lane where their vehicle belongs. Blind spot detection systems were available as an optional add-on in around 75 percent of cars in 2014. These systems were available as a standard feature in two percent of cars. Lane departure warning systems were available in around 50 percent of vehicles in 2014. AOL Auto reports that AAA and MIT’s AgeLab conducted a study to assess how well these common crash prevention technologies actually performed. The results showed that the technologies have much room for improvement. Blind spot detection systems generally did not work as well when vehicles were traveling at higher speeds. These systems also were not very good at alerting drivers to the fact that a motorcycle was beside their car. The detection systems did not identify motorcycles until 26 percent later than passenger cars. By the time the system alerted the driver to the motorcycle, the motorcycle was within 14 feet of the vehicle. Since many drivers use blind spot detection systems to aid them when they are merging onto highways or when they are changing lanes on high-speed roads, it is bad news that these systems don’t work well at high speeds. Lane departure systems also tended to malfunction when conditions were not optimal. For example, if the pavement was worn, if the driver was in a construction zone, if the roads were wet or if the weather was bad, the lane departure system often failed to function correctly. Many different vehicles from different car makers were tested and these problems were virtually universal. Drivers need to be aware of the shortcomings of these crash protection systems and they should remember that it is ultimately their responsibility to watch the road carefully and take steps to avoid getting into a collision. Contact a Hartford accident attorney today at the Law Offices of Mark E. Salomone & Morelli. Call 1-800-WIN-WIN-1 for your free case consultation or visit www.salomoneandmorelli.com. Also serving New Britain and Norwich to Manchester, New Haven and the Waterbury-area. This entry was posted on Wednesday, January 28th, 2015 at 9:17 pm and is filed under Auto Accidents. You can follow any responses to this entry through the RSS 2.0 feed. You can leave a response, or trackback from your own site.